Bryan's Fishing Camp ends after 10 years. January 25, 2008. Bassmaster American Tournament honors Bryan Kerchal. August 2007. Fishingkids.com Presents the 1st. Annual B.V.K. Memorial Bass Tournament and Fund Raiser. Posted February 5, 2002. The Housatonic Valley Bassmasters club will be holding their 8th Annual Open Team Tournament, benefiting the Bryan V. Kerchal Memorial Fund on Sunday, April 21, 2002 on Candlewood Lake in Danbury, Connecticut. $5000, posted October 13, 2001. Chris Bielert elected to Board of Directors, posted July 16, 2001. The Chris Bielert Award, posted April 22, 2001. ESPN Inc. announced Tuesday that it has reached an agreement in principle to sell BASS, LLC to a group of investors led by Don Logan, Jerry McKinnis and Jim Copeland. BASS, the Bass Anglers Sportsman Society, is the largest membership organization of bass anglers in the U.S. with more than 500,000 members. BASS seeks to advance the sport of bass fishing through advocacy, outreach and its expansive tournament structure, and focuses on issues related to conservation and water access. BASS was purchased by ESPN in 2001 and includes several media platforms, including three magazines (Bassmaster Magazine, BASS Times and Fishing Tackle Retailer) and a popular website. "If the deal comes to fruition, BASS is in capable hands," Doug Grassian, BASS/ESPN spokesperson, told Outposts. "The business acumen that this group of investors represents coupled with their passion for the brand makes for an extremely solid partnership." The purchasing party will assume ownership of all BASS assets after the completion of the sale, the terms of which were not disclosed. As part of the agreement in principle, BASS’ core television programming assets -- the Bassmaster Classic and the Bassmaster Elite Series -- will remain on ESPN networks. 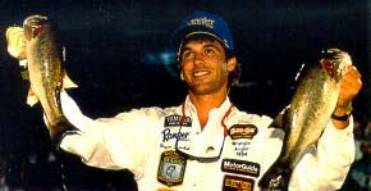 “I am eager to begin working with the anglers, sponsors and supporters to bring an even more exciting BASS business to its fan base,” said McKinnis, an investor and outdoorsman who has a long history with ESPN as the host of the network’s second longest-running show, "The Fishin’ Hole," which aired from 1980 until 2007. An avid angler, Logan at one time oversaw Time Inc., America Online, Time Warner Cable and the Time Warner Book Group before his retirement from the media giant in 2002. Georgia native Copeland retired as U.S. and Global CEO of international financial services firm Deloitte in 2003, and currently serves on the board of directors of three Fortune 500 companies. "This group is looking forward to working with the fishing industry’s strongest brand and plans to make BASS even more relevant in the multimedia world," said Logan. Until a sales transaction is finalized, BASS, headquartered in Celebration, Fla., will continue to operate under ESPN’s ownership. I am very pleased to announce that The Federation Nation of New Jersey has been able to acquire a suitable tournament site for this event on June 28, 2008. We have also been extremely fortunate in obtaining as a sponsor, The Bryan V. Kerchal Memorial Fund c/o Ray and Ronnie Kerchal, who, like all of us, believe our youth is our future and wish to give them an opportunity to participate in interstate junior tournaments. I would like to hear back from all the Mid-Atlantic State Federations on whether they would be interested in attending this third annual Junior Bassmaster Tournament, started by the BASS Federation of Maryland in 2006, and hosted by the Virginia Federation Nation this past summer. We will advise you as soon as hotel accommodations are firm here, to assist you with your planning. State Federation Nation Presidents and Youth Directors are cordially invited to attend along with their teams. The tournament format will be the standard 6 angler Junior State Team, 3 in the younger age group (11-14 as of August 31st ) and 3 in the older group (15-18). Each participating Federation is asked to supply boats (3) and boat captains for their teams, though FNoNJ will supply boats/captains for states requesting them with notice. The Junior Champion State Trophy, which now resides with the winning Virginia Federation Nation Jr. State Team, will be brought to New Jersey and awarded to the Jr. State Team with the highest total weights. Individual accomplishments will also be recognized. We are looking forward to your replies soon. If you have any questions, please don’t hesitate to call or email me for information. More information will follow shortly. 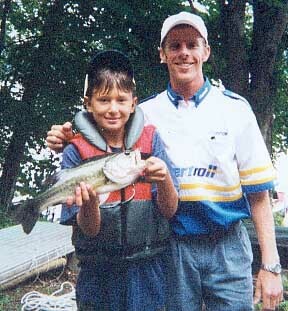 After 10 summers from 1998 through 2007, Bryan's Fishing Camp has come to an end. Ronnie and I relocated from Connecticut to Georgia in June, 2006 and in August of that year, we traveled to Connecticut to run the camp. This approach proved to be very impractical for us, so in 2007 the camp was run by volunteers who fervently wanted to keep the program going. Unfortunately, the program requires full time management from February through September each year and it is difficult to find individuals who can devote that much time to insure a top notch program. We are very proud of the impact the program has had over the ten year period. The program taught fishing techniques, provided an appreciation and respect for the protection and preservation of the environment, with particular emphasis on our water and fishery resources and created an experience in which the children could have fun fishing by themselves and with others. The children benefited from the expertise and guidance of adult bass anglers who donated their time and the use of their bass boats for on water experience. Campers wanted to return even after they became ineligible due to age. At first we created a program where they could return as junior assistants. The evolution of this approach resulted in the development of junior instructors. By the 5th year almost all of the fishing instructors were former campers. They were key in developing the evolving classes and the campers responded to them enthusiastically. There was a definite advantage to having youth teaching youth. In addition, many of the individual campers populated state fishing teams and eventually went on to qualify for the National (now world) championship. Ronnie and I want to sincerely thank the Great Hollow Wilderness School and the Regional YMCA for their administrative support, the sponsors who provided equipment, tackle boxes, lures, trophies, etc. and particularly the many volunteers including the boat captains, instructors and behind the scenes workers. The Bryan V. Kerchal Memorial Fund will continue to support youth fishing in other venues. In 2006, BASS introduced the Bassmaster Majors, three stand-alone, no-entry fee competitions offering a total prize purse of nearly $2 million, including a $250,000 first place prize per event. Qualifiers for the exclusive, 50 angler field had to be Bassmaster Elite Series professionals in good standing. Furthermore, in 2006, the field was made up of the top 10 anglers on the all-time BASS money list and the top 40 anglers with the highest Angler of the Year standings. In 2007, the field was to be made up of the defending champion, the Bassmasters Classic champion, the 2006 Angler of the Year and the top 47 anglers in the Angler of the Year standings. The Bassmaster Memorial - in memory of the late Don Butler, BASS’ first member and winner of the 1972 Bassmaster Classic. The Bassmaster American - in honor of the late Bryan Kerchal, BASS’ first and only Federation Nation angler to win the coveted CITGO Bassmaster Classic. The Bassmaster Legends - honoring BASS founder Ray Scott. The winners’ trophies carry the names of the tournament honorees. Bryan’s trophy is pictured at the right. The inaugural Bassmaster American was held on July 27-30, 2006 on Lake Wylie in Charlotte, NC and was won by Dave Wolak. On Sunday, July 30, Dave entered the day with a lead of nearly 5 pounds and held off the second place finisher, Kevin VanDam, who had the heaviest catch of the day with 13 lbs, 13 oz. Wolak finished the six hole series with 25 lb,-14 oz. for the final two days to VanDam’s 22 lb.,15 oz. to become the first Bassmaster American Champion. The 2007 Bassmaster American was held on High Rock Lake in Greensboro, N.C., on May 17-20. 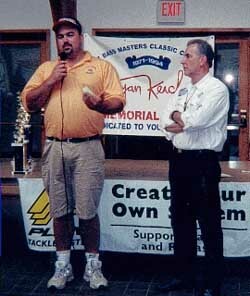 High Rock hosted three previous Bassmaster Classics, including the 1994 Classic won by Bryan Kerchal. The champion, Fred Roumbanis from Auburn, CA, won the four day tournament without catching a limit. He earned his entry into the final two day round by catching four bass each day on High Rock Lake weighing 11-9 and 16-11. The 12 finalists then fished the last two days on Lake Townsend, a Greensboro municipal lake. There, Roumbanis landed 7 bass weighing 21 lb -14 oz, 4 lb -11oz ahead of second place finisher, Brian Snowden. Mike McClelland, who finished 6th, caught the biggest fish of the tournament: 6 lb, 9 oz. Former Classic champions, Kevin VanDam, Mike Iaconelli and Denny Brauer were 14th, 16th and 18th respectively. All Proceeds From This Event Will Go To The Bryan Kerchal Memorial Fund Inc. Location: Clear Lake, Lakeport, Ca. directly to the Bryan Kerchal Fund **$5.00 is for insurance. Event sponsors: Osprey Tackle, SnakeBite Custom Lures, BassStalker Jig’s, JR Rod’s, American Bass, TTI Companies, Tatanka Tackle. The Housatonic Valley Bassmasters club will be holding their 8th Annual Open Team Tournament, benefiting the Bryan V. Kerchal Memorial Fund on Sunday, April 21, 2002 on Candlewood Lake in Danbury, Connecticut. The Entry fee is $200.00 per team. This tournament has been run by the club in memory of Bryan Kerchal every year, starting in 1995. To date $13,100.00 has been raised for the fund. For entry forms or information on participation, call Paul Hopco in Bethel, Connecticut at (203) 778-1486. Don Corkran, Helen Sevier, etc. On August 17, 2001, Tom Reynolds visited Bryan's Fishing Camp on Candlewood Lake for the first time. He indicated to Ray Kerchal that he wanted to make a presentation in his capacity as president of the Connecticut BASS Federation. Tom was introduced by Ray before the trophies were awarded for the camp tournament on Friday. He began by saying "We are proud to be a part of the Connecticut BASS Federation." "This fund (The Bryan V. Kerchal Memorial Fund) represents everything we stand for: youth, the environment and continuing education." Tom first presented two checks to Ray. One, from the CT Bass Worm Masters, was for $100 and the second was from Team Skeeter for $101. Team Skeeter apparently wanted to out do the other club! But the best was yet to come. Tom then presented a check for $5000 to the fund "from all of the members of the Connecticut Federation". All of us at the Fund sincerely appreciate the wonderful support from our home state federation. In addition to the financial donations over the past years, we have been fortunate that so many members have volunteered to be boat captains for the young anglers at the camp. This year we had over forty such volunteers. Many were at the camp for more than one day and some spent the entire week helping us. The Memorial Fund has had a significant impact on youth fishing here and across the country and your help has made a significant difference. Thank you! Thank you! Thank you! Chris Bielert was elected to the board of directors of The Bryan V. Kerchal Memorial Fund, Inc. on June 30, 2001. Chris, who is in charge of the advanced fishing program at Bryan's Fishing Camp this year, is currently the Marine Brand Manager for EVERCEL in Danbury, CT. Evercel produces and markets the Evertroll trolling battery. 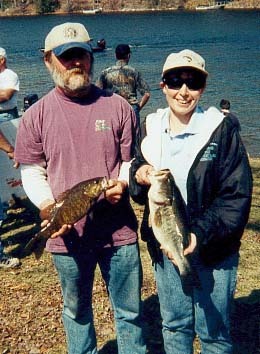 On March 17, 2001 the Connecticut BASS Federation held its annual awards banquet. Chris Bielert was presented with the Community Service Award for his many service activities including his support of "Bryan's Fishing Camp". Chris has volunteered his time for the camp every year starting with its inception in 1998. In 1999 he took overall responsibility, as director, for the fishing program and in 2000 set up the first advanced program for the camp.